Someone found this old picture of my cat on Pete's Flickr account and used it for the header of some online book reviews. 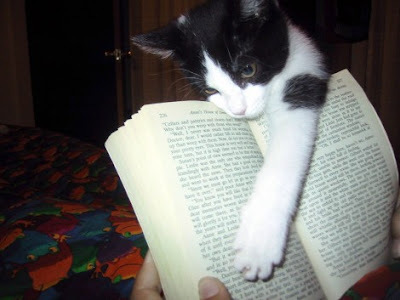 The cat likes to attack me when I am reading, which is all the time. I wish I were reading something more dignified than "Anne's House of Dreams."